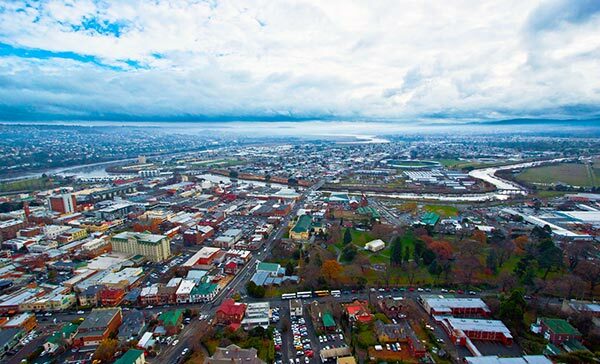 Launceston's sister town in Tasmania. | Launceston Then! 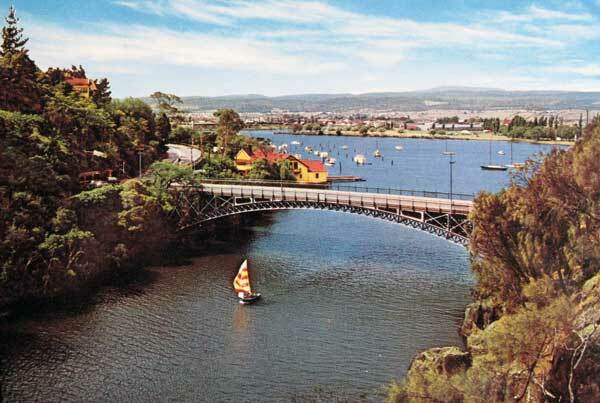 Our sister town of Launceston or in it’s case, city, is situated in the north of Tasmania, Australia at the junction of the North Esk and South Esk rivers where they become the Tamar River. Launceston is the second largest city in Tasmania after Hobart. With a population (greater urban and statistical sub division) of 106,153, Launceston is the ninth largest non-capital city in Australia. 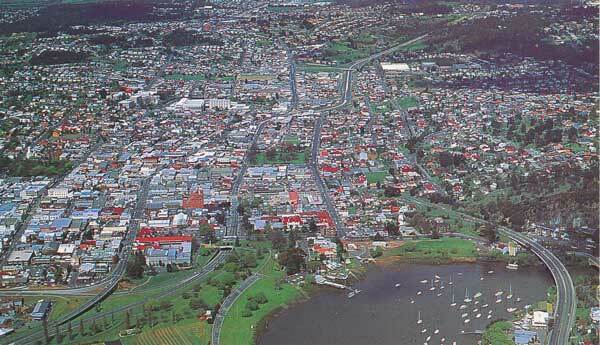 It is the only inland city in Tasmania. 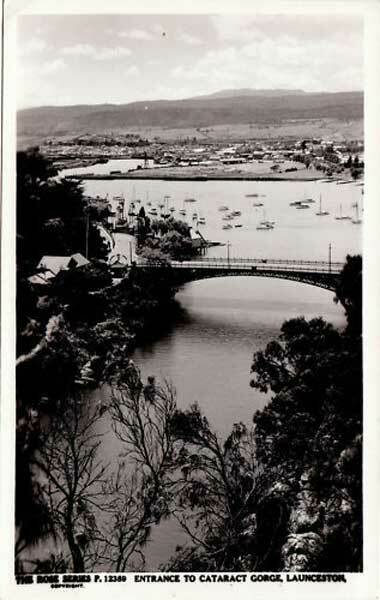 The discovery of Launceston and the Tamar Valley dates back to 1798 when Bass and Flinders were sent to explore the possibility that there existed a strait between the great continent and Van Diemen’s Land. They named their landing place Port Dalrymple. Settlement of the area began in 1804 when Lt. Col. William Paterson and his party set up camp where George Town now stands and formally took possession of Port Dalrymple. 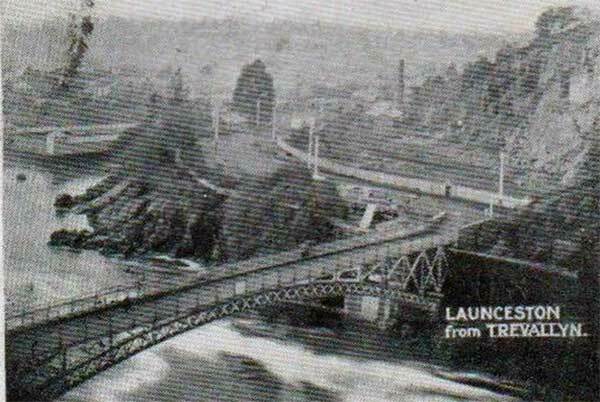 A few weeks later, the settlement was moved across the river to York Town, and a year later they finally settled in Launceston. Launceston is one of Australia’s oldest cities and is home to many historic buildings. 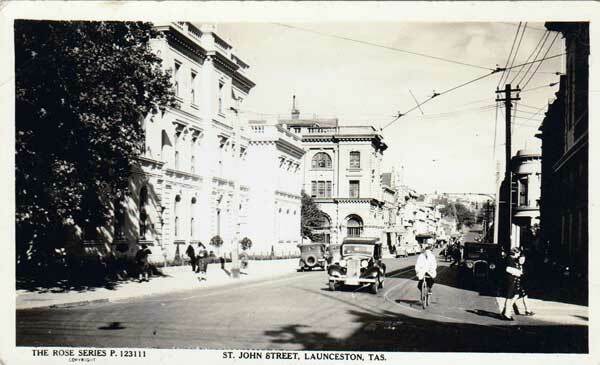 Launceston has also been home to several firsts such as the first use of anaesthetic in the Southern Hemisphere, the first Australian city to have underground sewers and the first Australian city to be lit by hydroelectricity. The city has a temperate climate with four distinct seasons. Local government is split between the City of Launceston and the Meander Valley and West Tamar Councils. 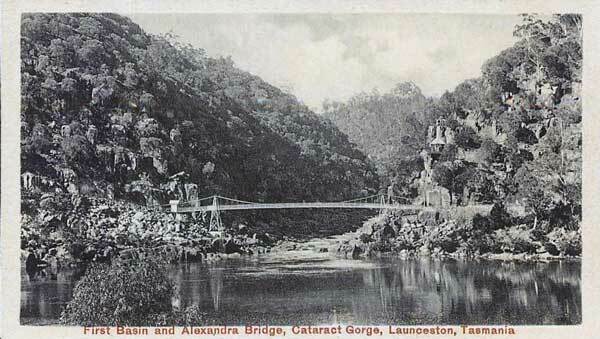 The first inhabitants of the area of Launceston were largely nomadic Tasmanian Aborigines believed to have been part of the North Midlands Tribe. The first white visitors did not arrive until 1798, when George Bass and Matthew Flinders were sent to explore the possibility that there was a strait between Australia and Van Diemen’s Land (now Tasmania). They originally landed in Port Dalrymple (the mouth of the Tamar River), 40 kilometres (25 mi) to the north-west of Launceston. The first significant colonial settlement in the region dates from 1804, when the commandant of the British garrison Lt. Col. William Paterson, and his men set up a camp on the current site of George Town. 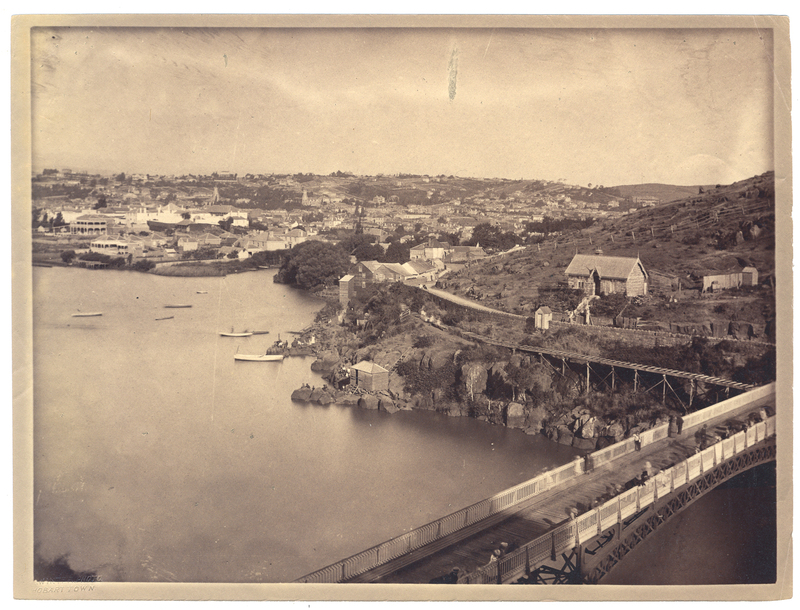 A few weeks later, the settlement was moved across the river to York Town, and a year later was moved to its definitive position where Launceston stands. 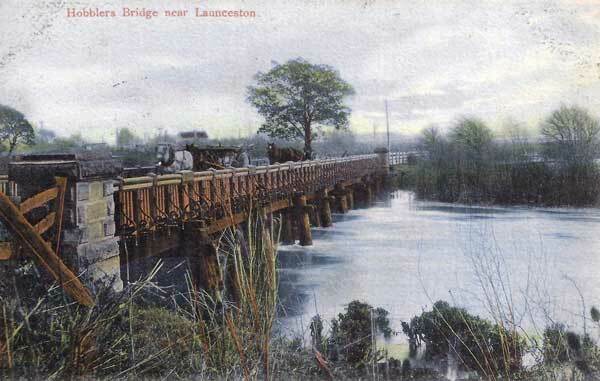 Initially the settlement was called Patersonia; however, Paterson later changed the name to Launceston in honour of the New South Wales Governor Captain Philip Gidley King, who was born in Launceston, Cornwall.The name still survives in the tiny hamlet of Patersonia 18 kilometres (11 mi) north-west of Launceston. Paterson himself also served as Lieutenant-Governor of northern Van Diemen’s Land from 1804 to 1808. 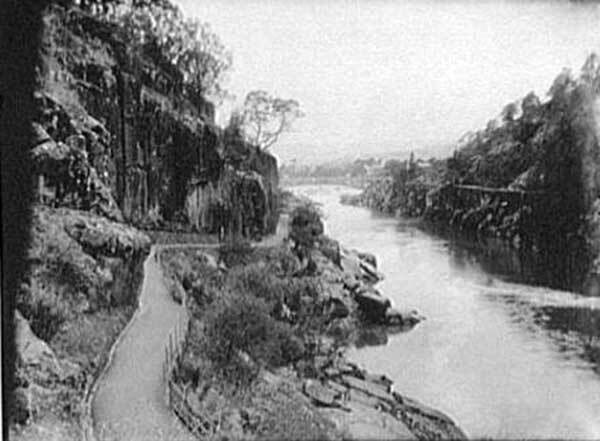 By 1827, Launceston’s population had climbed to 2,000 and the town had become an export centre, mainly for the colony’s northern pastoral industry. Small hotels and breweries began to emerge in the 1820’s, before larger, more “substantial” hotels were built in the 1830s. 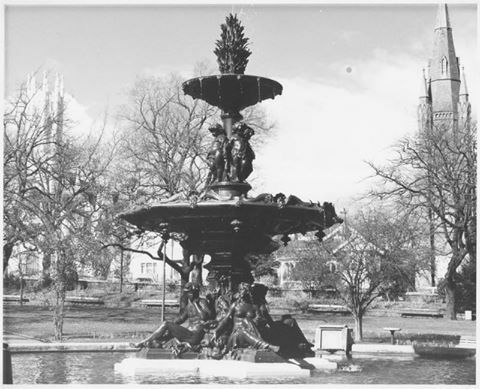 Sporting groups, political groups, churches and schools were often established in these hotels; however, they also hosted plays, musical soirees and readings, until theatres were built. Walter George Arthur, who petitioned Queen Victoria in 1847 while interned with other Tasmanian Aborigines on Flinders Island,lived for several years in Launceston as one of numerous homeless children, before being taken into custody by George Augustus Robinson who sent him to the Boy’s Orphan School in Hobart in 1832. 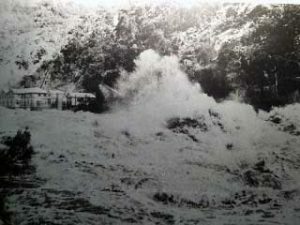 Tin was discovered at Mount Bischoff in 1871 in north-western Tasmania, starting a minerals boom. Gold mining commenced approximately 50 kilometres (31 mi) away in Beaconsfield in 1877. 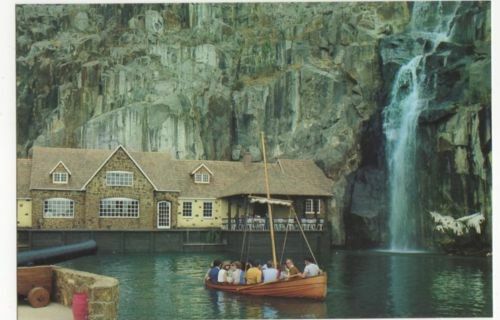 During the following two decades Launceston grew from a small town into an urban centre. 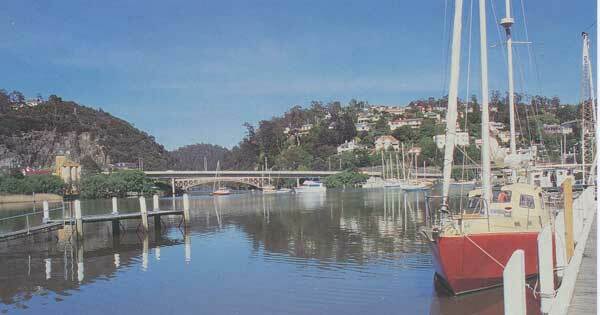 In 1889, Launceston was the second town in Tasmania to be declared a city, after state capital Hobart. 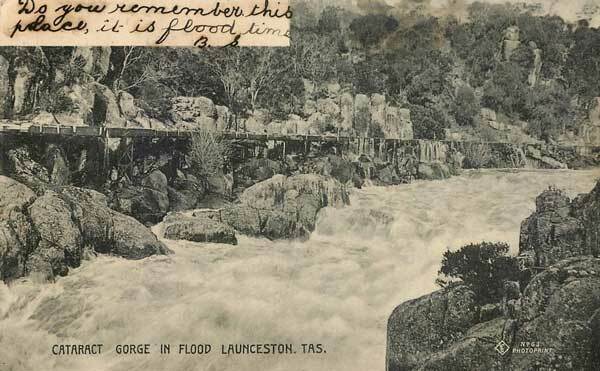 Since the 1960s, parts of Launceston have been protected by a series of flood levees that reach up to 4 metres (13 ft) in height. The reason for this is because large portions of Invermay and Newstead sit within a flood plain. 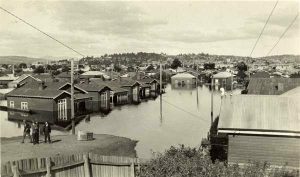 The last major flood occurred in 1929, when Invermay was completely devastated. More than 4,000 people were left homeless after just one night of flooding. Since then, there have been minor floods but nothing as severe. 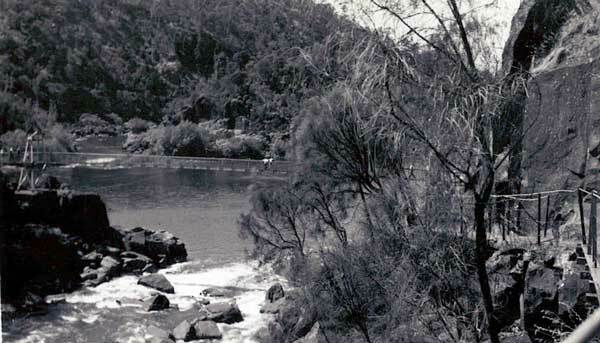 Above left the 1929 floods at Cataract Gorge. 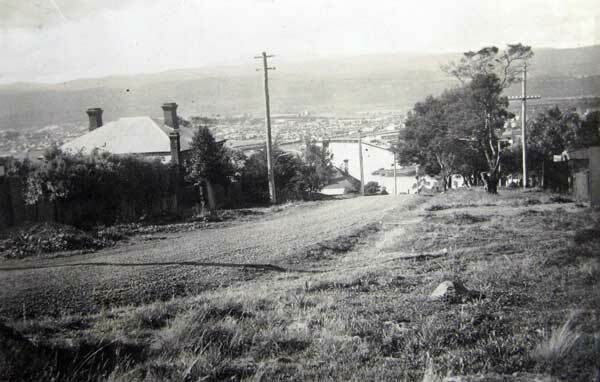 Above right Flooding of Home Street, Invermay in 1929. A large portion of Launceston is contained within the City of Launceston local government area, however some outer suburbs are part of adjacent council districts: for instance Riverside and Legana are part of the West Tamar Council; Prospect Vale and Blackstone Heights are included in the Meander Valley Council. Launceston City Council meetings are held in the Launceston Town Hall. In 2002, Janie Dickenson became the youngest female elected mayor in Australia. Albert Van Zetten, who was initially elected in 2007, before being re-elected in 2009, 2011 and 2014, became Launceston’s 91st mayor. State Upper House seats that incorporate parts of Launceston are the Electoral Divisions of Paterson, Windermere and Rosevears. For federal elections, Launceston falls within the Division of Bass, with the sitting member being Andrew Nikolić for the Liberal Party of Australia who won the seat in the 2013 election. The state Lower House seat is also called the Division of Bass, and is one of the five electorates in the Tasmanian House of Assembly. Both federal and state seats share common boundaries. Launceston City Band in 1900. 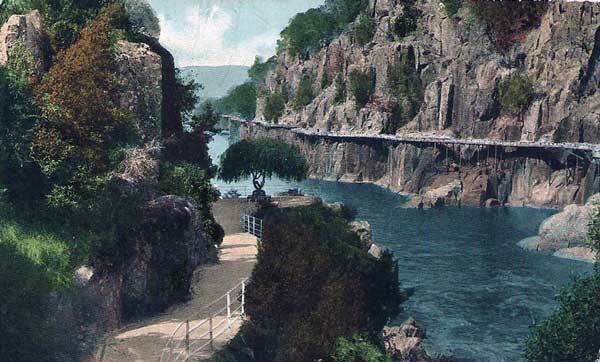 The entrance to Cataract Gorge. 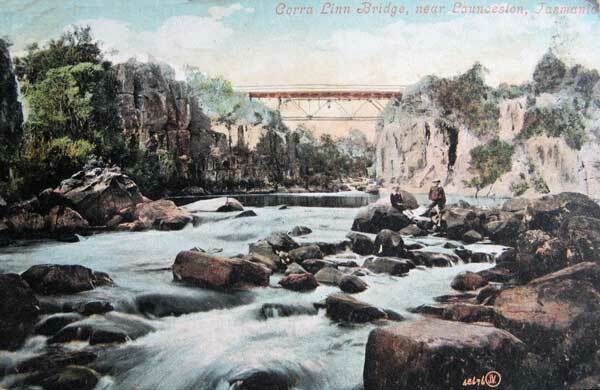 Corra Linn Bridge, Launceston, Tasmainia. Cataract Gorge, Launceston in full flood. 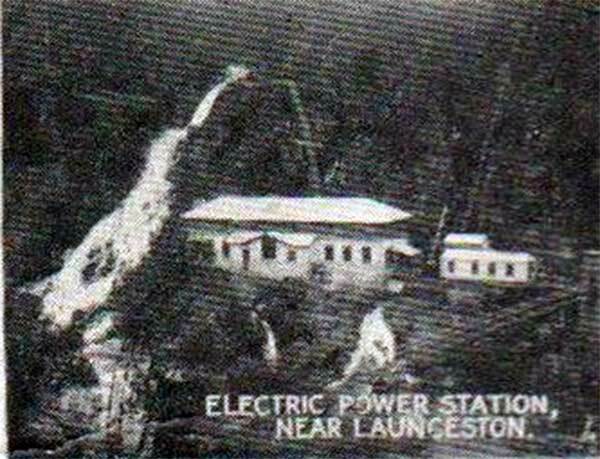 Electric Power Station, Near Launceston, Tasmania. 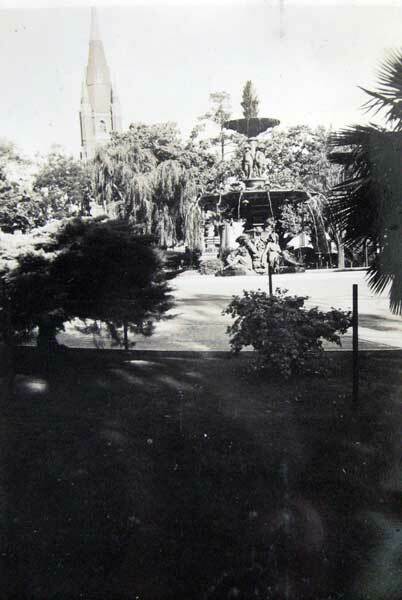 The Fountain in St. Johns Park, Launceston in 1939. 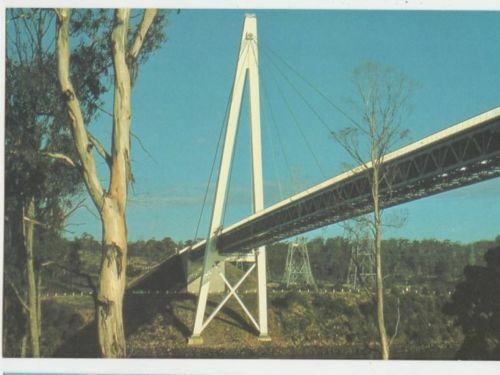 Hobblers Bridge, Near Launceston, Tasmania. 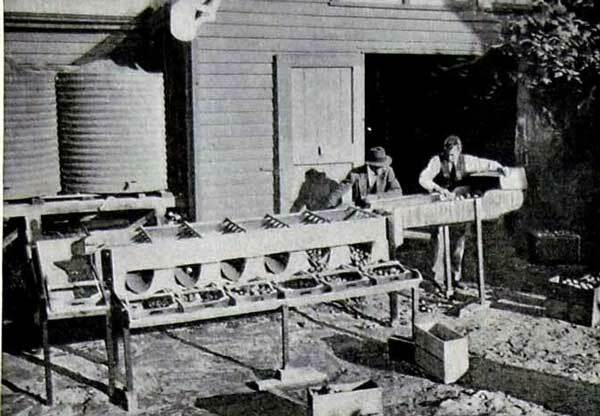 Grading apples at Launceston c.1920. 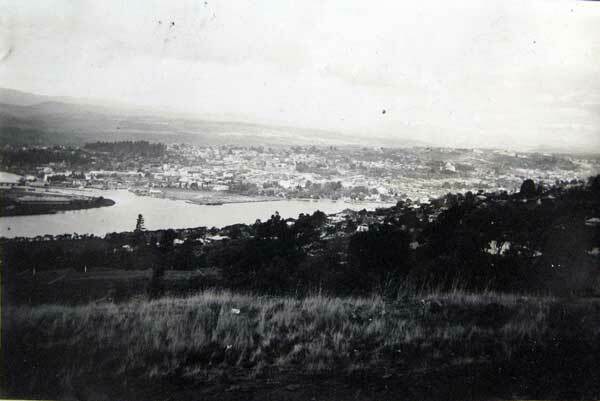 Launceston from the observation tower in 1939. 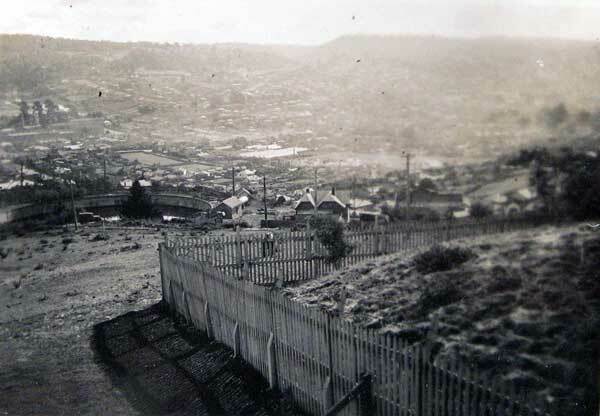 Launceston from Bald Hill in 1939. 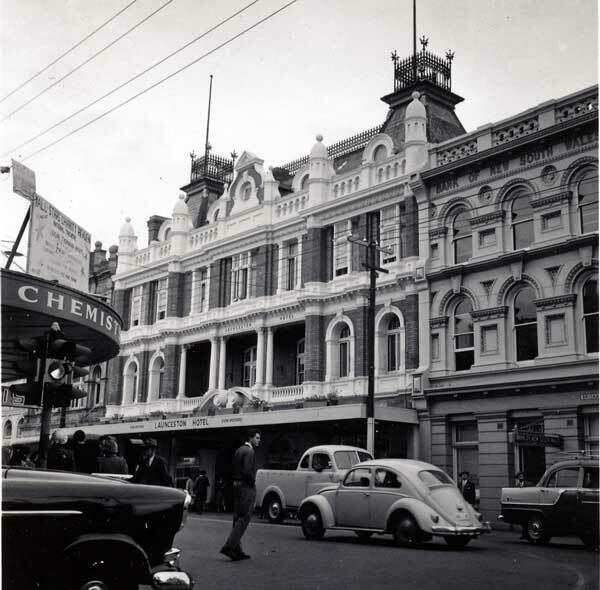 Launceston Hotel Bank of New South Wales, Launceston in 1960. 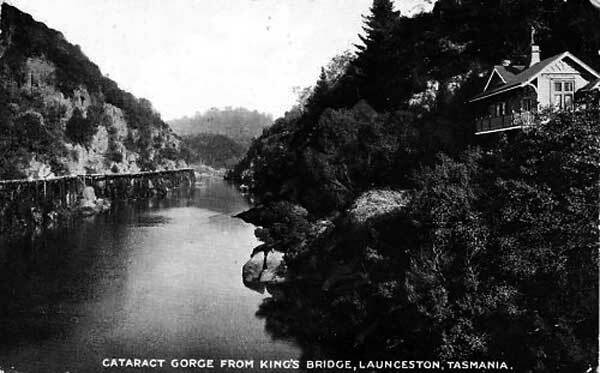 Cataract Gorge and the Tamar River at Launceston, Tasmania.